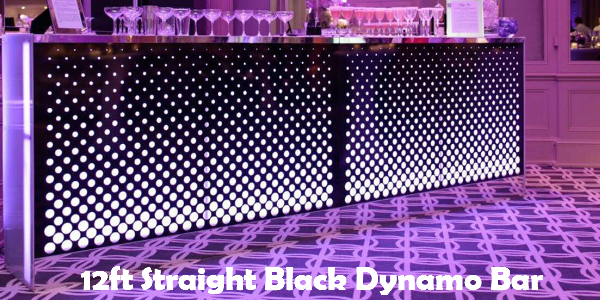 The Dynamo LED bar will bring the ‘funk’ to your event. The dazzling bar uses a unique frontage giving it the complete wow factor. 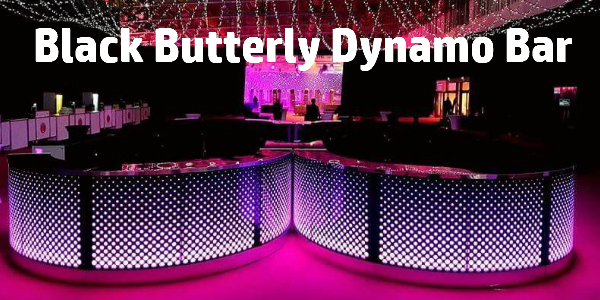 This bar has the function to have static or colour changing lights, so you’ll be sure to keep your guests entertained. You can finish off the look with a silver or gold mirror top. Furniture4Events bars are modular, so you can choose a size to suit you. 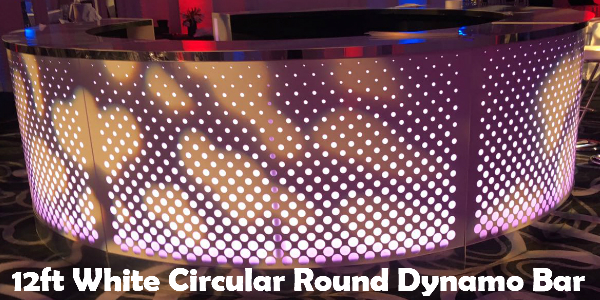 Dynamo is available to hire with a black or white frontage in 6ft straight or curved sections, so you can tailor the bar to suit your event. Each bar has a shelf that runs along the inside giving you that extra space. 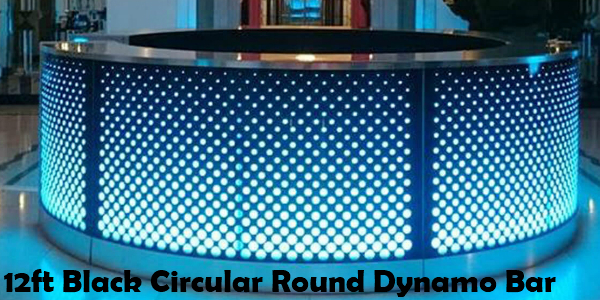 The Dynamo LED bar goes perfect with our other LED and mirrored furniture. 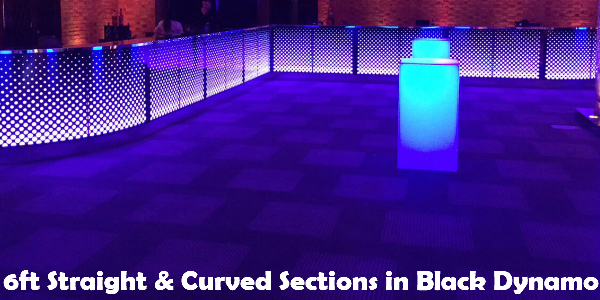 By adding other furniture to your event this will only complement the bar and wow your guests. 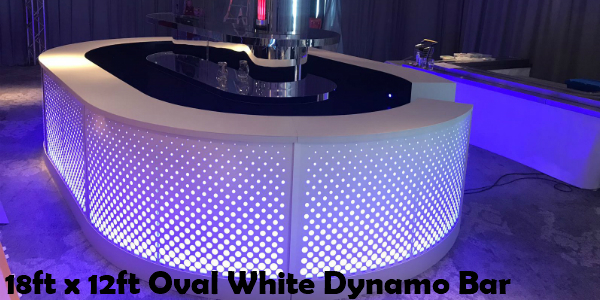 We are constantly looking for new products to offer, so we work closely with our workshop team to design and produce this one-of-a-kind LED bar. This means Furniture4Events are the only events company supplying this type of bar! The Furniture4Events team are always happy to help, so give us a call with your query! 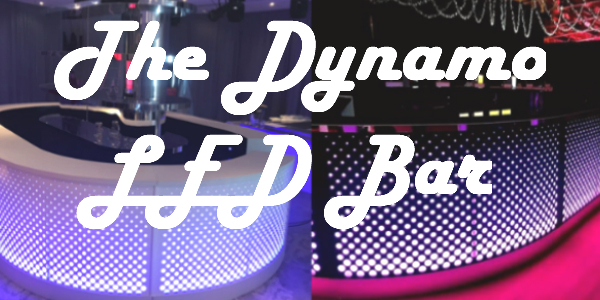 Take a look at the gallery below of the Dynamo bar in action!